Ohio University survey shows jobs, hotel occupancy rising because of Utica Shale play – Columbus – Columbus Business First. Short window of opportunity for residents to “intervene” on proposed pipeline. Impacted landowners, community members, business owners and public officials have until July 17, 2013 to “intervene” with the Federal Regulatory Commission (FERC) on the matter of the proposed Constitution Pipeline. Those who intervene become an integral part of the review process. While interveners have no obligation, the process of intervening established the necessary framework for taking actions, if necessary, against the pipeline company. ALL AREA RESIDENTS, BUSINESSES, AND TOWN AND VILLAGE BOARDS SHOULD INTERVENE. Those who do not intervene significantly limit their options for protecting their property, and their community, from the pipeline. 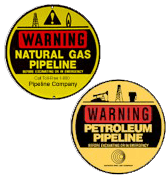 Stop the Pipeline’s Schoharie Action Committee will be conducting door-to-door visits along the proposed pipeline the week of July 8th to assist people with the intervention process. The Center for Sustainable Rural Communities, located at 296 Main Street in Richmondville, NY will hold special training sessions to assist people wishing to intervene on Thursday July 11th from 10 AM until 2 PM, Friday July 12thfrom 6 PM until 8 PM and Saturday July 13th from 9 AM until 12 PM. The Center will provide high speed Internet access, computer terminals and volunteers to assist individuals and group in registering with FERC. The Center for Sustainable Rural Communities is also offering consultation to Town, Village and County boards who wish to intervene. Public officials can contact the Center at 518-872-3903 or via email: info@ruralcommunities.org. Steve Israel: Future of NY fracking seems to be faltering | recordonline.com. Poland detains 7 suspected of shale gas corruption | Reuters. 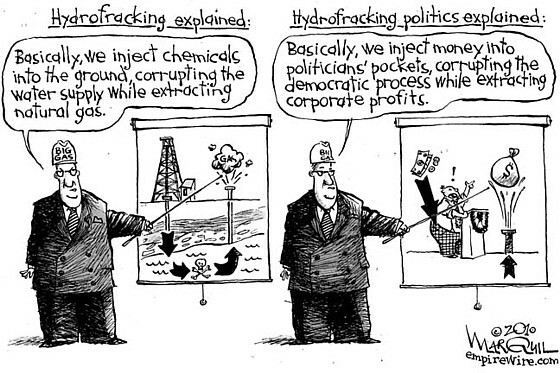 Fracking for Support: Natural gas industry pumps cash into Congress – Common Cause. Natural gas interests have spent more than $747 million during a 10-year campaign – stunningly successful so far – to avoid government regulation of hydraulic “fracking,” a fast-growing and environmentally risky method of tapping underground gas reserves, according to a new study by Common Cause. A faction of the natural gas industry has directed more than $20 million to the campaigns of current members of Congress and put $726 million into lobbying aimed at shielding itself from oversight, according to the report, the third in a series of “Deep Drilling, Deep Pockets” reports produced by the non-profit government watchdog group. The study – which includes inserts for the fracking-heavy states of Ohio, Pennsylvania and Michigan – found that the natural gas industry focuses its political spending on members of the Congressional committees charged with overseeing it. Current members of the House Energy and Commerce Committee have received an average of $70,342 from the industry; Rep. Joe Barton, R-Texas, the former committee chairman, has collected a whopping $514,945, more than any other lawmaker. 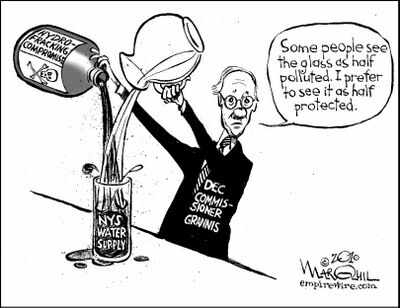 What’s more, the industry’s political giving also heavily favors lawmakers who supported the 2005 Energy Policy Act, which exempted fracking from regulation under the Safe Drinking Water Act. Current members who voted for the bill received an average of $73,433, while those who voted against the bill received an average of $10,894. 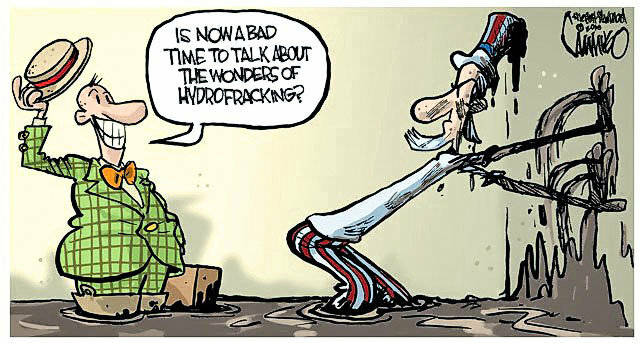 The report comes as the Environmental Protection Agency is scheduled to publish new, preliminary findings about the potential dangers of fracking in 2012, giving the industry a powerful incentive to increase political spending now in an attempt to shape public opinion and the debate over fracking in Congress, as well as affect the outcome of the 2012 congressional elections. Hydrofracking Debate Spurs Huge Spending by Industry – NYTimes.com. Democratic Party Chairman stands to benefit financially if – NYPOST.com. NORWICH – Yesterday afternoon’s meeting of a regional natural gas group to discuss government regulations on road use and pipeline infrastructure went off without a hitch despite a large crowd of anti-gas drilling activists who attended and later proceeded to rally in West Park afterwards. The approximately 85 attendees at the County Office Building meeting were given a set of guidelines and asked to sit in designated areas for government officials, department directors, regulators, the general public and the press. Following a presentation from four speakers, Chenango County’s economic development consultant within the natural gas industry, Steven Palmatier fielded questions first from municipal leaders and from the public second. “We are dealing with the regulatory structure for our county to deal with the natural gas industry we have and to prepare for what we could have in the future,” he said. Coventry resident Kim Michels asked about right-of-way set backs and surface and subsurface rights, particularly as they pertained to a natural gas pipeline company currently seeking a franchise in the towns of Sidney, Bainbridge and Coventry. A planning consultant, Chris Kale, asked about New York Department of Environmental Conservation set back requirements that she said don’t comply with Federal Housing Administration title insurance requirements and is causing problems in the secondary mortgage market. “It’s important to work on the federal level, important to work on these issues in Albany, but we probably aren’t going to get bailed out by either. The only place to make things happen is on the ground level, through grassroots efforts like this. We have leverage at the local level,” he said. Other speakers called for a complete ban on high water volume horizontal hydraulic fracturing, a 60-year-old energy stimulation technology that uses high-pressure water mixed with chemicals and sand to crack open shale formations. Town of McDonough Supervisor Arrington Canor, one of eight elected officials who attended the Regional meeting, said not knowing the facts about natural gas drilling is making people afraid. “We aren’t here to argue. We officials need to know what the rules are and how we can work within them. It’s the only industry that we have that is promising jobs. We’re not hear to argue. We’re here to get the facts,” he said. One of the meetings speakers, Gregory H. Sovas, of XRM, LLC, said the practice would require very minimal land disturbance. He pointed to the estimated 15,000 to 18,000 jobs that would be generated in the Southern Tier by 2015 if the state allows gas companies to drill into the massive Marcellus Shale formation. “I get emotional even thinking about the landowner. Who is speaking up for them? I get emotional when others tell landowners what to do with their land,” he said. The pending natural gas industry is also expected to result in $11.4 billion in economic output by 2020 and $1.4 billion in tax revenues for state and local governments over the next nine years. The DEC is preparing to release an environmental impact statement in July that would outline new permit guidelines for natural gas exploration using horizontal drilling combined with hydraulic fracture stimulation.